As promised a bit longer of an addition post this week, it’s my cozy Kensington addiction that happens at least once a month that gets me. What can I say though? Always such great reads that are a lot of fun! Stella Kendrick is an all-American heiress who can’t be tamed. But when the lively aspiring equine trainer tangles with British aristocracy, she meets her match—and a murderer . . .
Spring, 1905: Free-spirited like the Thoroughbreds she rides across the Kentucky countryside, Stella takes adventure by the reins when she’s asked to attend a mysterious wedding in rural England. But once she arrives at the lush Morrington Hall estate, her cold and ambitious father confesses that he won’t only give away his best racehorses as gifts—he has also arranged to give away his daughter as bride to the Earl of Atherly’s financially strapped son . . .
Stella refuses to be sold off like a prized pony. Yet despite a rough start, there’s something intriguing about her groom-to-be, the roguish Viscount “Lyndy” Lyndhurst. The unlikely pair could actually be on the right track with each other . . . until they find the vicar who was to marry them dead in the library. With culture clashes mounting between families, a scandalous murder case hangs over Morrington Hall. 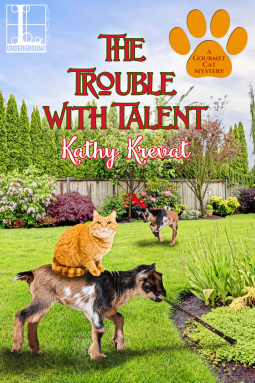 Now, Stella and Lyndy must go from future spouses to amateur sleuths as they team up to search for the truth—and prevent an unbridled criminal from destroying their new life together right out of the gate . . . If it wasn’t for art thieves, spies and killers, Alex Vlodnachek’s life would be bliss. But, to this ex-reporter, something seems “off.” And it’s not the canapés. When Ian’s father vanishes, the enigmatic innkeeper asks for her discretion. And her assistance. Meanwhile, Alex is having the opposite problem at her tiny bungalow: People keep piling in uninvited. Including a mysterious intruder found sleeping in her kitchen. Her grandmother, Baba, who shows up “to help”—with Alex’s own mother hot on her heels. When the intrepid redhead discovers a body in the B&B’s basement and a “reproduction” Renoir in the library, she begins to suspect that Ian is more than just a simple hotel owner. With editor pal Trip, brother Nick, and rescue-pup Lucy riding shotgun, Alex scrambles to stay one step ahead of disaster—and some very nasty characters. Can she find the missing man before it’s too late? Or will Alex be the next one to disappear? For generations, the women of the Brown family on Peach Cove Island have been known for their Southern sass and sweet homemade desserts at their beloved Peach Diner. Since their mother’s passing two years ago, Marygene has been stuck in Atlanta while her sister Jena Lynn has been running the family business. Now Marygene has left her husband and returned to her hometown, where she can almost feel Mama’s presence. But all is not peachy back home. Marygene has barely tied on an apron when a diner regular drops dead at the counter. When it turns out the old man’s been poisoned, Jena Lynn is led away in handcuffs and the family eatery is closed. Now, to save her sister and the diner, Marygene must find the real killer. With some startling assistance from her Mama’s spirit, Marygene will be serving up a special order of just desserts . . . Single mom Colbie Summers has a lot to be grateful for in the run up to Thanksgiving. Relocating back to her California hometown has brought her irascible dad and adolescent son closer. Her gourmet cat food line—vetted by her trusty taste-tester, Trouble—is about to get a big re-order. And she’s made wonderful new friends and colleagues. Too bad one them has just been accused of murder . . .
Sunnyside’s most gifted students have been at the mercy of a shadowy network of college fixers—including an abusive oboe teacher whose recommendation is necessary to get into Julliard and a school secretary who alters grades for cash. 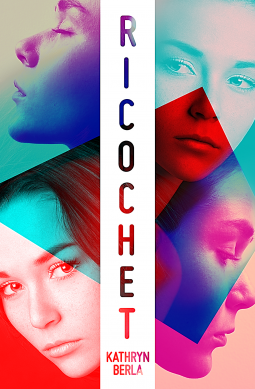 When they turn up dead, Colbie has to untangle a cat’s cradle of suspects and motivations—from livid parents and students whose dreams have been crushed to an entire secret Facebook group of spurned lovers. Suddenly, holiday preparations just got a lot hairier. With the big re-order now on hold and the real killer still at large, Colbie discovers that someone has been grading on a very dangerous curve—and it will take all her newfound sleuthing talent to land safely on her feet. Alejandro Padilla isn’t superstitious and he doesn’t believe the stories that an old sailor doll in a Key West, Florida, museum is haunted. 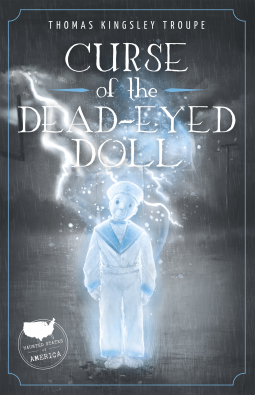 Robert the Doll might look creepy, but that doesn’t mean the doll is cursed. So Al ignores the tour guide’s warning to ask Robert’s permission before taking the doll’s photograph. But it isn’t long after Al’s field trip to the museum that strange things start happening. Al is quick to dismiss the odd occurrences as coincidence and bad luck . . . that is until they become more frequent and more sinister. Is the doll tormenting Al? And if so, what will Al have to do to get him to stop? When a guest is poisoned at a tea event, Juliana’s dire predictions appear to have come true. Things are brought to a boil when Hana’s beloved Anna Weatherley butterfly teacup becomes the center of the murder investigation as it carried the poisoned tea. The cup is claimed as evidence by a handsome police detective, and the pretty Tea House is suddenly endangered. Hana and her family must catch the killer to save their business and bring the beautiful Budapest Butterfly back home where it belongs. A feminist Lord of the Flies about three best friends living in quarantine at their island boarding school, and the lengths they go to uncover the truth of their confinement when one disappears. This fresh, new debut is a mind-bending novel unlike anything you’ve read before.